I like being surprised. I like being impressed. I like seeing quality, forethought, vision, and innovation embedded in software products. I like seeing pride and passion woven into the fabric of digital code. And when a nice piece of code walks in, I get sprung. 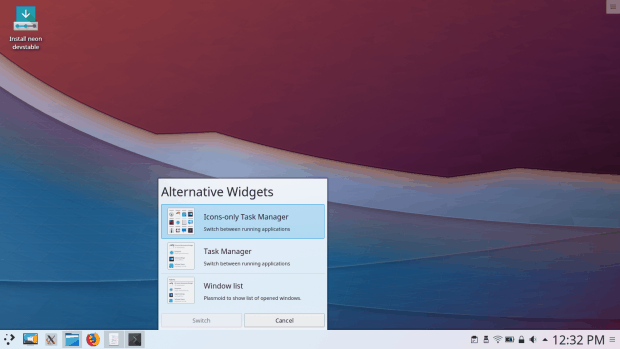 A few days ago, I reviewed Plasma 5.13 and liked it a fair bit. Then, if you recall, I also wrote about nifty tricks in Ubuntu MATE, and then I thought, well, there ought to be an article on all the good things in Plasma, too. After all, it’s a fun, consistent and highly innovative desktop environment, and you need to get pumped. People say Plasma is too customizable. And in a way, they are right. However, that’s not a bad thing, because you can choose to completely ignore the customization side if you don’t like fiddling. Moreover, the default layout is accessible, friendly and practical. On other other hand, you can tweak anything you want in this desktop environment, and you don’t need any special tools or the command line. You have an unobtrusive, progressive UI that lets you explore its secrets at leisure. The moment you start playing, you will discover the wealth of choice (or freedom) in making the desktop work for you just the way you want it or like it. Take the system menu for instance. Right-click on it, then choose Alternatives. You have three different layouts available, including the classic category-based, deep-hierarchy menu like in the old days (say KDE 3.5 or Windows XP), the more modern app menu that you see by default (similar to say Windows 7 or Windows 10), and then you can also use a full-screen overlay dashboard. Whatever style you fancy, you can have it. The task manager is another gem. If you want the classic quicklaunch + list of open windows, you can have that too. But then, if you’re short on horizontal space and you like less detail, you can use the icons-only task manager, which features textless icon indicators with a powerful right-click context menu. Or you can use the Windows list, which means no pinned widgets. The last can be useful if you have more than one panel, and you want to reserve one for active windows only. In essence, you can use the last combo to recreate the Gnome looks. Then, you also have Activities, and you can move the panel about, and you can add more panels, and the desktop has multiple view modes, and all of that gives you an infinite amount of permutations as to how you want your system to look and behave. The Plasma desktop has always had a fairly advanced font management system. This means two things: 1) you can adjust your fonts for best clarity 2) you can install and remove fonts using a friendly frontend. So let’s talk about this some more, shall we. 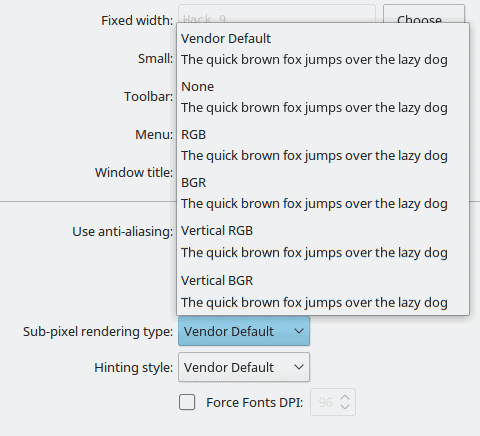 As I’ve shown you in the Plasma 5.13 review, you can override the default system settings for anti-aliasing and use one of the several available presets. Best thing, the font wizard actually shows you the actual effect of the intended change live, and you can SEE what different options do. RGB is different from BGR is different from Vertical BGR. You can also tweak the hinting. Best thing, you know instantly what you’re getting. You do not need to restart applications and wonder. 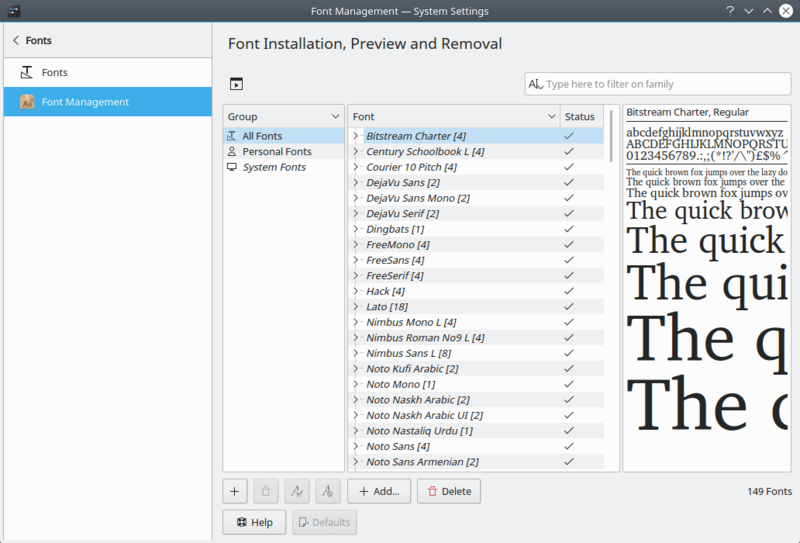 Then, you can add and remove fonts with a simple and powerful GUI tool. 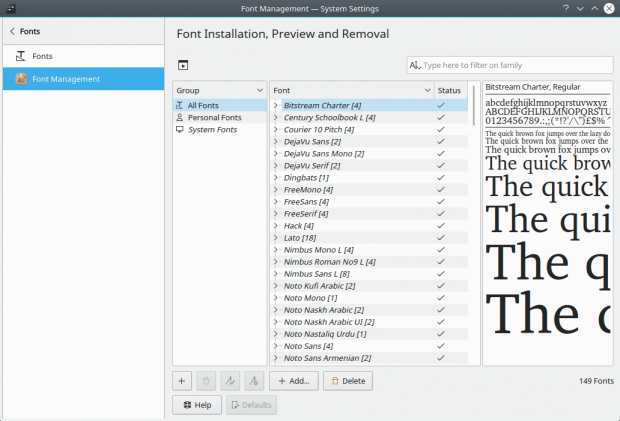 You have the system fonts, and you can add your own personal ones, stored in your home directory. You can preview each font too, again, which helps achieve the best visual result. This sounds like a given, and something that every desktop should have, but you’ll be amazed how overlooked this topic really is. Plasma’s got you covered, though. Copy … pasta! 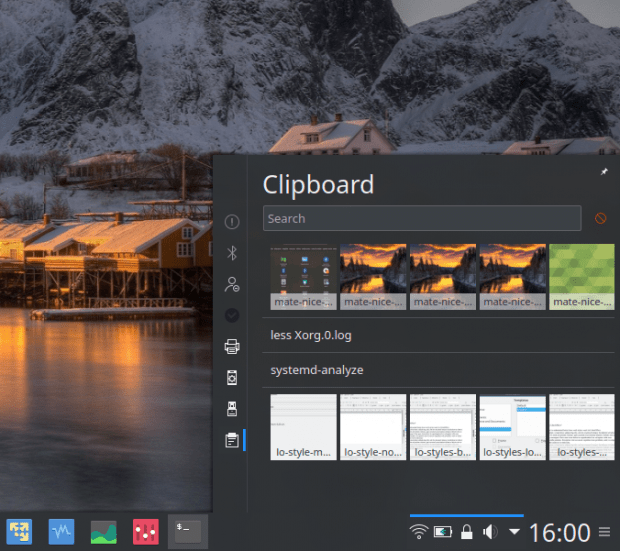 Plasma features the most handsome and useful clipboard of all operating systems, and I mean all, not just Linux. It’s a multi-entry thing, extremely highly configurable, and it’s pretty, too. You can also individually edit or delete each entry, create a barcode, and a few other tricks. Very convenient and practical. And also potentially embarrassing, so make sure you don’t show your clipboard with people around, as it has a looong history. But then, Plasma allows you to create desktop activities and configure per-app tracking (including none) for each one separately. The tweak is your oyster. 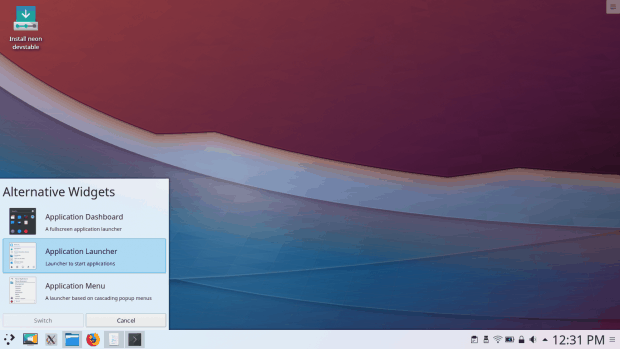 Plasma is normally a traditional desktop – bottom panel, standard menu desktop icons and whatnot. But you may just fancy a completely different layout. Long time ago, we talked about Plasma Search and Launch and Plasma Active. Good stuff, right? Well, you still have the option to make your desktop look any which way you like, including the more Mac-like or Unity feel. 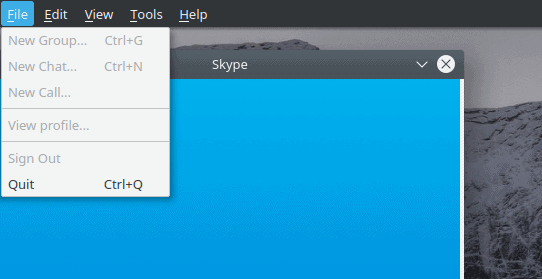 Plasma allows you to add a menu button to your application titlebar – so you have better use of vertical space. But you can also add a separate application menu panel – this one will automatically have the Global menu widget embedded in it (although you can position it anywhere you like). Just drag & drop whatever commands you want onto the titlebar, and re-arrange them however you see fit. Notice the asterisk in the window title, which basically tells you that you have made settings changes but not yet applied them. At the moment, it does not work too well with Gnome/Gtk programs, but this ought to be remedied soon. And then, going back to our power of three, you can perhaps use a full-screen dashboard alongside the global menu (or just beneath one), and the possibilities are limitless. Seamless integration across devices has become more important with the boom of mobile devices. Pretty much every product – and every application – features some kind of online integration, offering account sync and data sharing. In most cases, this is done individually. 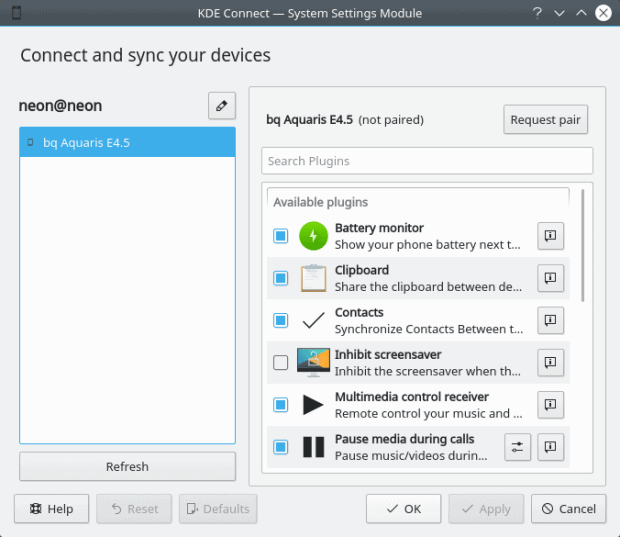 The Plasma desktop seeks to offer a unified experience, and KDE Connect is part of that goal. This application allows you to pair your Android phones with the desktop, and then control them remotely, if you need, or at least, just share information. Browse the device data, tweak the volume, get notifications and emails. Very elegant and very easy to set up. And hopefully, additional devices will be added, allowing for a complete mastery of the domain. More integration. 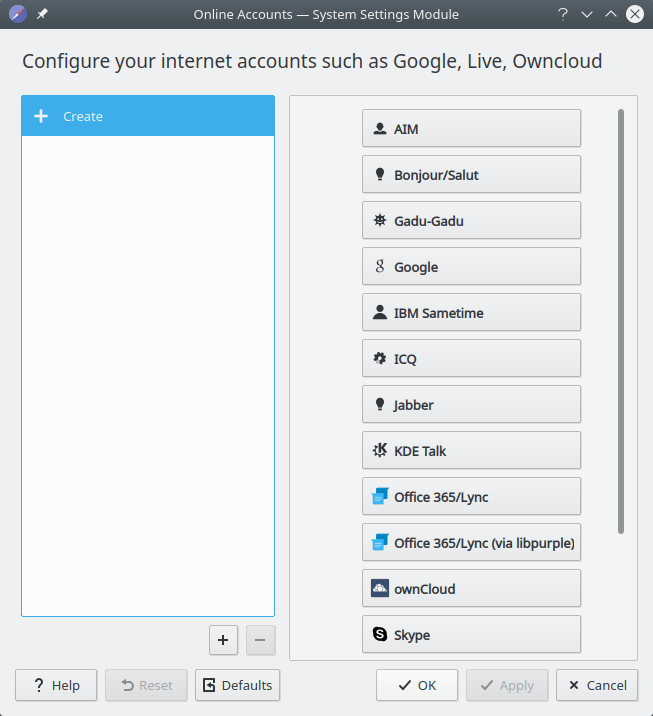 Plasma has the option to hook up your various online accounts into the desktop space. In this regard, it does the job only reasonably well – and there’s more room for improvement, including adding a few other popular accounts – Facebook, Live, Yahoo, and possibly deprecating some of the older, less popular ones, to name a few. Still, it’s a nice and useful thing. Encryption has become more popular recently, especially with the explosion of mobile devices. Lots of hardware and software vendors offer full-disk encryption. Linux has had home directory encryption for a long while now, but this isn’t the most trivial of setups. Plasma ups the game with Vault – a mechanism that lets you create encrypted data containers. You do not need to worry about size or filesystem format. 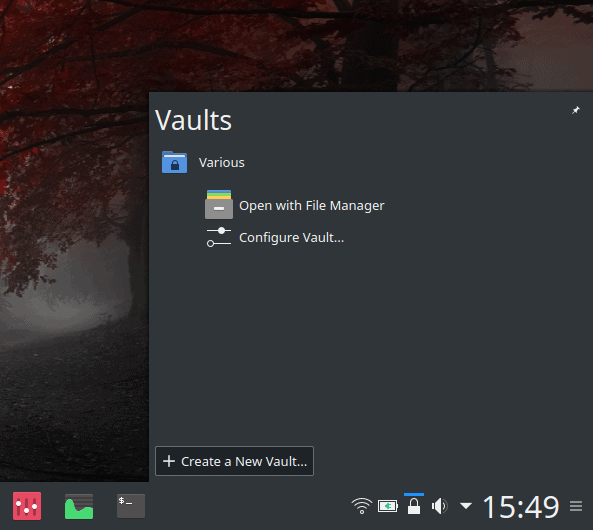 Create a vault, mount it (with the correct passphrase), and it will be presented through the Dolphin file manager as yet another ordinary folder where you can keep your more sensitive stuff. The containers grows on the fly, so if you have sufficient disk space, you’re all set. You can have as many vaults as you like, and the whole functionality integrates nicely and seamlessly into the system area. A really cool and powerful thing. I have a need … a need for speed! KDE used to be a “heavy” desktop environment, and this perception remains, even though it’s been two full major and dozens of minor revisions since the attribute was first associated with KDE. Over the years, KDE and then Plasma, especially Plasma (KDE 5 if you will) has slowly, gradually, inexorably become more and more efficient, taking fewer resources, both memory pages and CPU cycles. 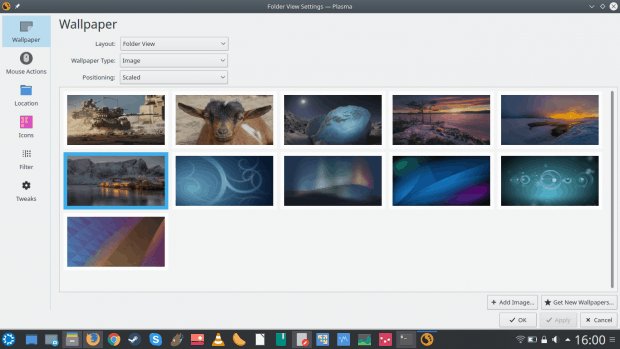 Among the many available desktop environments out there, Plasma is currently the most efficient and frugal offering, all combined, with excellent multi-tasking, full compositing, a whole range of suave desktop effects, and fairly reasonable battery life. Individual distributions and specific implementations do tend to make a big difference, which is why testing and evaluating a desktop in isolation is hard. However, Plasma is fighting its old reputation hard and true, and it is high time the old stereotype was put to rest. Typically, on a mid-range mid-recent laptop, like my 2015 Lenovo G50, the memory usage will be less than 500 MB and the CPU will normally use less than 2-3% on idle. More importantly, the smooth and lag-free experience persists even when you ramp up the utilization. Start doing several things in parallel, and Plasma will remain a quiet, silent background participant, giving you the necessary environment to be productive and to have fun. 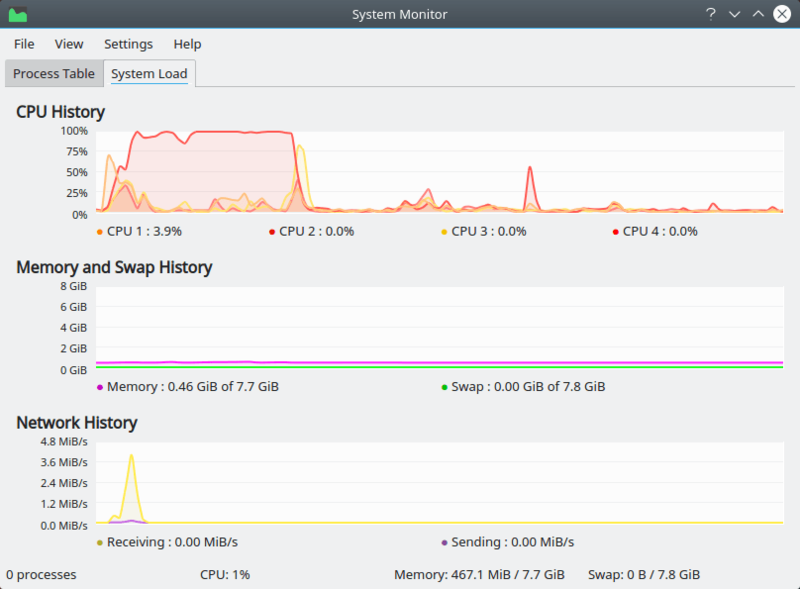 Plasma has the most detailed, accurate and useful power management utility of all Linux desktops. You have the option to tweak anything you want. It’s very handy, and it makes the Plasma desktop really well suited for battery-powered devices. By the power of Tuxskull, I have the power! If you haven’t really figured that out just yet, Plasma is CUSTOMIZABLE. You can edit anything any which way. Sounds overwhelming, and it can occasionally be, but in general the system tools at your disposal are simple, elegant, practical and powerful. Most importantly, consistent. So when you set about changing one thing, you know how to do that the next time. 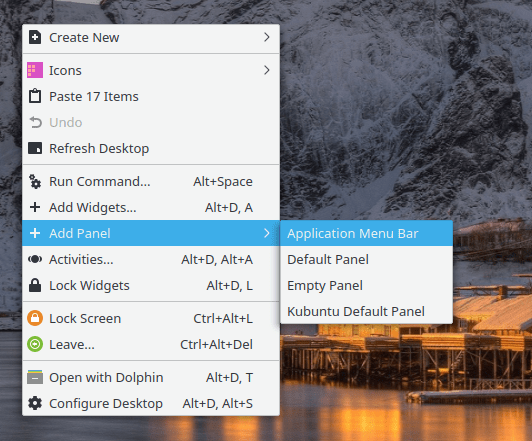 You can also customize desktop mouse actions – invoke different things using mouse clicks or special key combos, and tweak the look of Gnome/Gtk applications. Very handy and practical. The Plasma desktop is fun. Rich, detailed, with loads of goodies to explore and discover and play with. I haven’t really gotten bored with it even after a couple of years of rigorous daily testing. 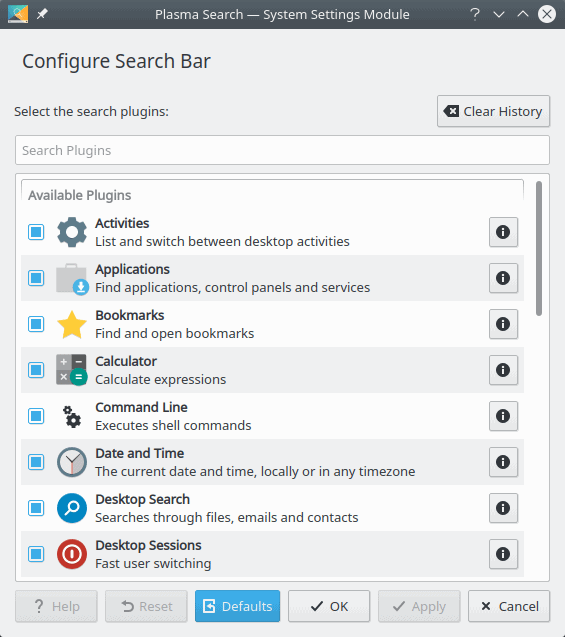 There’s always something new and exciting and useful to do, and you constantly come across fresh, handy aspects of desktop usage you haven’t really thought about. The discovery is progressive, which also helps navigate the Plasma environment, without getting a sensory overload of too many choices. This article showcases only a small portion of what Plasma can do. But the best part about it is: you can completely ignore all of the above and just use it like a traditional desktop. On a day you feel adventurous, it will welcome you into its fold and uncover its many cool facets. In general, the desktop should be a background thing, a canvas to let you get things done. But it does not have to be boring. In this regard, Plasma proves that practicality and functionality do not have to come at the price of fun. You do not need to sacrifice. On the contrary. It’s one giant basket of Easter eggs. Happy hunting. Thank you for such detailed and great article. Bring us more about Plasma!! Good job! Plasma is great and lately it managed to show it to everyone because of something that usually is missing in many open-source software: a sane set of default choices and behaviours. In Spectacle there used to be a Save & Exit button till somebody thought it was time to remove that. I miss that button. Now it’s either Save or Save as but after saving the file you need to close the program with the button top right. Please bring back the possibility to Save & Exit in one go. It’s the one I have always used. says who it got removed? Sorry, I really hadn’t seen it before. Just did and that’s why I returned to this page to write that, but you were here first. Since it was always in that button bottom-right I also expected it there again, but it’s now an option in the list of options. I use Plasma 5 since over 2,5 years and I love it more and more with each release! It’s exciting because the goodies it brings makes it more usable and more fun. Trying other DEs becomes quickly boring and limiting, so it’s always good to go back to old, reliable, mature plasma. As to global menus, they gtk global menus work well in Plasma 5.12 since couple of months (some additional packages must be installed and a some file must be tweaked for libre menus). 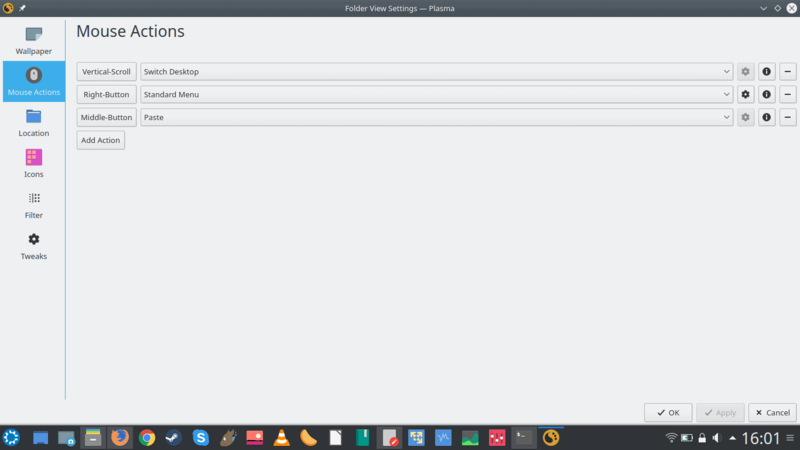 With Plasma 5.13 release I’m expecting to see working global menus for firefox and thunderbird. They work well on Neon but will have to see if it’s true for other releases. I heard they implemented some unity patch to make them work but it’s uncertain how it will behave in non-ubuntu distros since patch was probably copy-paste work and is not completely understood by Plasma developers, at least that’s what I assumed based on comments and level of uncertainty about it. Will see in week or so how it went. I installed Manjaro KDE in my notebook thanks to your reviews of Plasma and because it seemed like the most sensible Plasma distro (considering the disaster that Kubuntu is). I’ve been checking Linux development from the sidelines for the past few years, with dismay to the developments in the Gnome field but I am absolutely stunned by how polished, fast and stable Plasma feels. Except the Microsoft Office web-apps. They’re not working well but that’s no big deal for me. Thanks for showing me the bling of Plasma. It’s nearly as good as W10, but open source, and it suits my workflow perfectly. Just one question: I have dual monitors and can’t seem to place a panel on the secondary monitor? Do you know what’s up with that? I had very similar issues with Manjaro KDE. Everything started out great but started going downhill. I never could solve the secondary monitor panel placement issue. 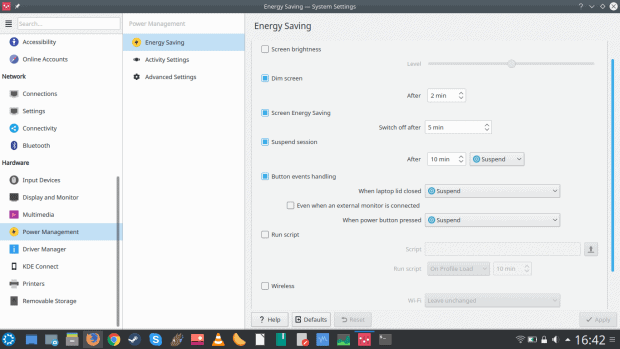 To be honest, I found Antergos KDE to be the best Arch-based distro I have used. I had none of the problems with Antergos that I did with Manjaro. I really liked Manjaro before trying Antergos. Such a good article and right on point. 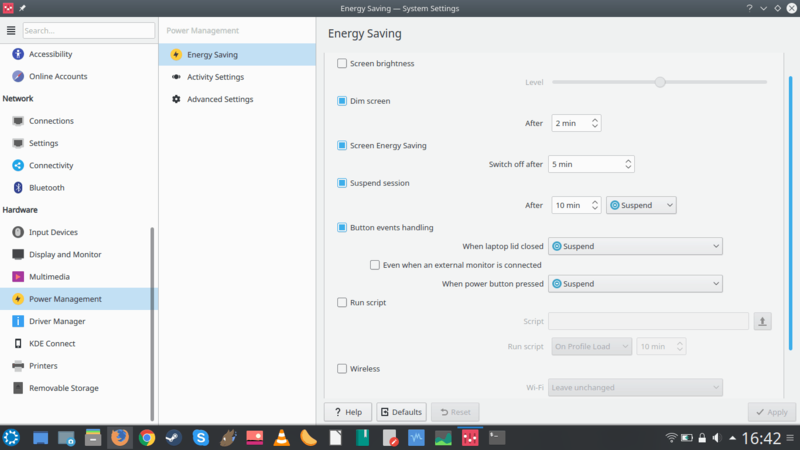 I began using KDE Neon after having the same Awful Aardvark experience. It has served me well. Plasma is just too cool and it just keeps getting better. I believe Plasma’s developers must read your posts because many of the issues you have pointed out in the past have been receiving attention . Not all, but its getting there. My main system has KDE Neon, Deepin 15.8, MX-17, and LMDE3 installed. All of them have been great and this setup lets me change it up from time to time. I also use Ubuntu Budgie but it’s on my road warrior laptop that I’ve retired from daily driver use. However, it’s usually Neon that gets the most action. 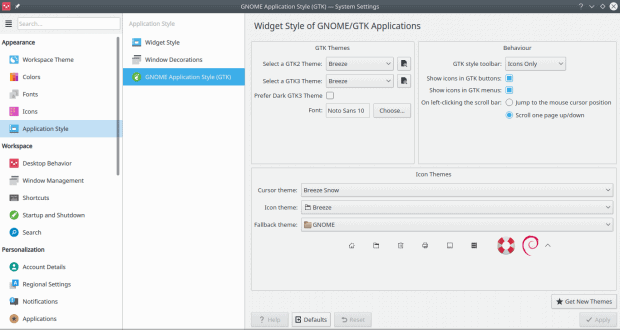 After using KDE Plasma, I honestly find Gnome hard to stomach anymore. Where Plasma gives, Gnome is intent on taking away. Besides, Plasma’s functionality and that tremendous feature set is hard to beat.